It’s midday, and it’s so hot the gulls are just standing around with their beaks open. It takes a lot of these little fish to fill up a dinner plate. But that doesn’t stop Al-Sorghali from going after perch and walleye any chance he gets. A lot of people call Lake Erie the Walleye Capital of the World. Fishing is a really big deal here. 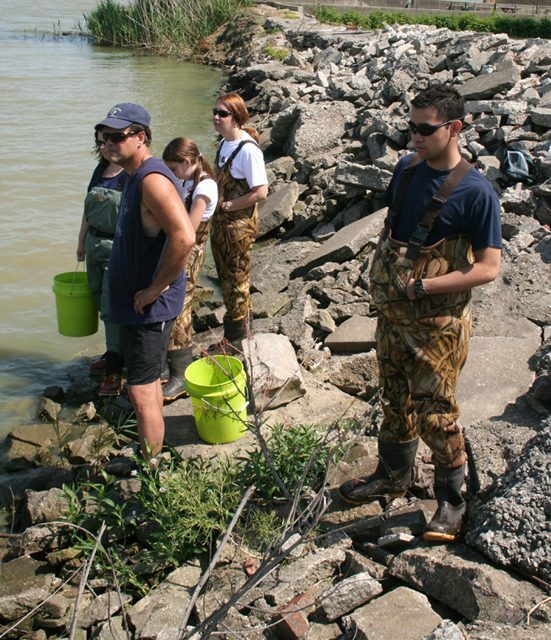 So it makes sense that Lake Erie’s also home to the Fish Detectives. The fish detective headquarters is tucked away on the edge of a quiet cove. The investigators at the Lake Erie Center are not wearing trench coats. They’re not even wearing lab coats. This crew of laid-back lab techs and grad students comes to work in jeans and T-shirts. Carol Stepien heads up the fish detective squad. She says they solve lots of cases of mistaken identity. Take the Case of the Fried Perch. Last year the detectives got a call from a TV station in Milwaukee. The news crew was suspicious that the fried local perch on restaurant menus wasn’t really local. Stepien says she asked the news station to send her some frozen filets. 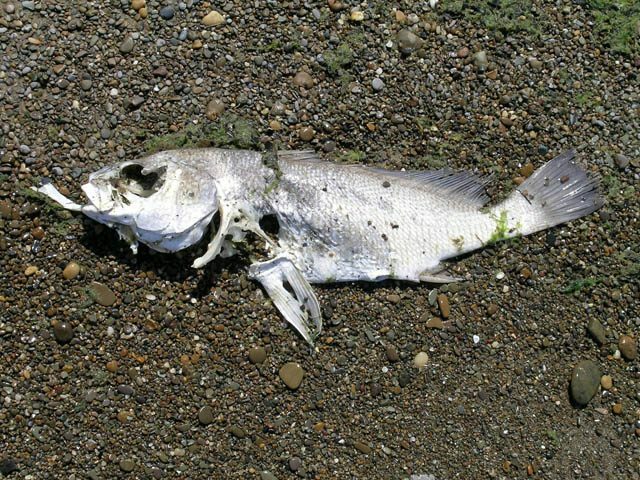 But Stepien says they scraped off the breaded coating… and they actually were able to extract DNA from the little bits of cooked fish. Stepien says it’s gotten more common for fish brokers to import yellow perch from outside the U.S. because it’s cheaper. 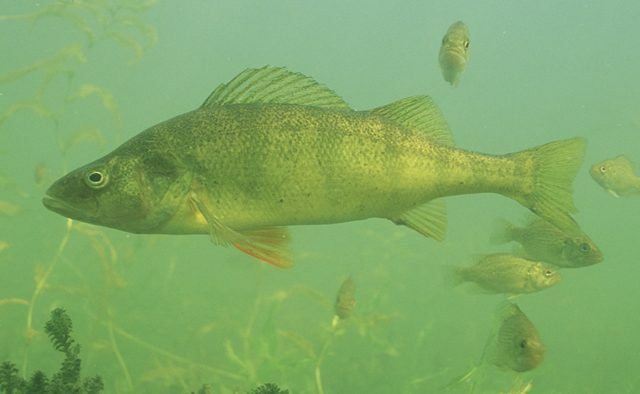 She says even though the foreign perch might taste the same when they’re deep-fried… a close look at the DNA of the European yellow perch reveals big differences from Great Lakes yellow perch. Stepien’s team will tackle any sort of mystery, as long as it involves gills and fins. Lately they’ve solved cases of home invasion. 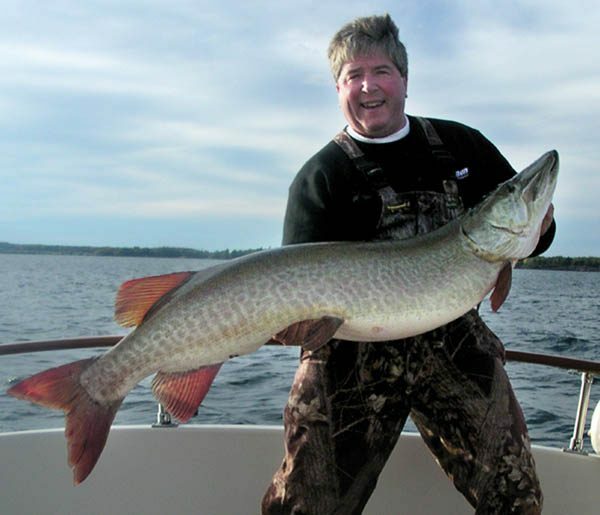 That is, invasions by exotic species that’ve gotten into the Great Lakes. The scientists can track the invaders by their DNA fingerprints, and find out where they’ve been. Joshua Brown is a Ph.D student at the lab. He’s been tracking the round goby. It’s a fish native to Europe. 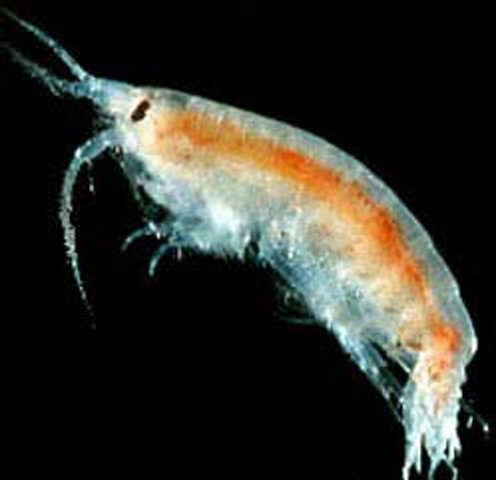 Scientists say it caught a ride to the Great Lakes in the ballast tanks of ocean going ships. It’s been crowding out native species. That port is in Ukraine. Even though they’ve found the culprit, Brown says there’s not much governments can do, because everyone’s guilty. But Brown says knowing exactly where a foreign species comes from might help keep the door closed to future invaders from that same region. Whether it’s a case of consumer fish fraud or defending the home turf from invaders, there’s one bottom line for these detectives. They want to find out as much as they can about native fish so they can keep them from going belly up. 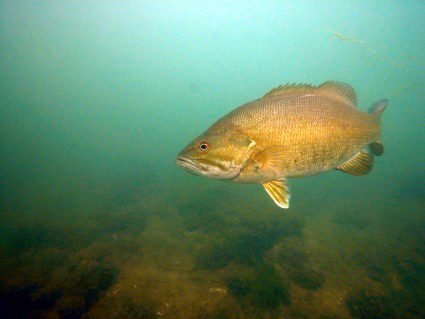 A popular fish might be making a comeback in the upper Great Lakes. the best years on record. Two or three times as many. skyrocket. Weather is believed to be one factor. perch have been born and there’s not enough food for them all. Larry Jacobson is the third generation in his family to run the Hiawatha Beach Resort on Leech Lake, about two hundred miles north of Minneapolis. Three years ago, on fishing opener weekend, all of his twenty-one cabins were full. This year, he had no guests. Jacobson says the word has spread that fishing is down on Leech Lake. He blames the cormorants. The birds nest on a small island in the south end of the lake. Eight years ago, there were fifty nests; last year, there were two thousand five hundred. Jacobson says his guests are still catching big walleye, but the smaller, pan-sized walleye are getting hard to find. There are several reasons why the walleye population might be down, but Jacobson and other business owners blame it on the cormorants, and they’ve asked the Department of Natural Resources to do something about the birds. Resource officials are responding to the resort owners’ concerns. The Leech Lake Band of Ojibwe owns the island. John Ringle is wildlife manager for the tribe. Little Pelican Island is about three acres of sand and scruffy shrubs. Hundreds of cormorants cover the shore. Ringle says they fish out here in the open waters of Leech Lake. 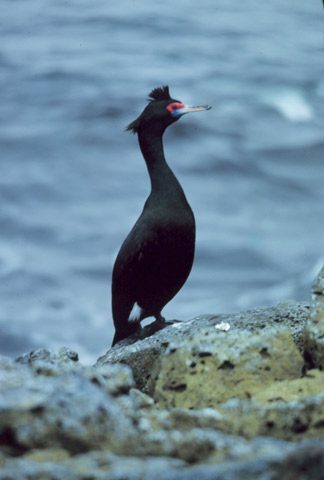 Ringle is working with state and federal agencies to reduce the number of cormorants nesting here, eating fish, and crowding out other birds, such as the endangered common tern. Normally, cormorants are a federally protected bird, just like eagles. That’s because they were almost wiped out by the insecticide DDT before it was banned in 1973. But a new rule allows resource officials to harass and even kill cormorants where they’re damaging other wildlife. This summer, workers are sitting in hunting blinds on Little Pelican Island, shooting cormorants. They use air rifles to make as little noise as possible, so the other cormorants aren’t spooked away. So far, they’ve killed more than two thousand birds. They plan to leave about five hundred nesting pairs alive. Ringle says nobody’s happy about shooting cormorants, but he says he thinks it’s necessary. And that’s a big problem for Francie Cuthbert. She’s a professor and cormorant researcher at the University of Minnesota. Cuthbert says the agencies that want to cut down the cormorant population skipped an important part of the management process: finding out what’s actually happening on Leech Lake. Cuthbert says even with the cormorants’ dramatic comeback since the days of DDT, there still aren’t as many as there were a hundred years ago. She says rather than kill cormorants, wildlife officials should try to boost the number of fish. The state of Minnesota is working on that. 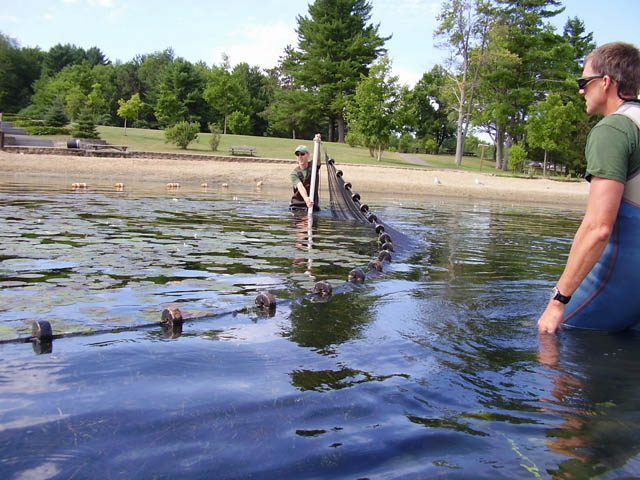 It’s stocking Leech Lake with walleye for the first time this year. Conservation officials are studying some of the birds they killed to find out what they’re eating. And the state is also limiting what size of walleye anglers can catch so the fish can recover. That makes resort owners like Larry Jacobson nervous, because he says a lot of anglers don’t like the limits. But at least he’s glad someone’s doing something. Workers will continue shooting cormorants occasionally through the summer. And the control effort could continue. Experts say it’ll take several years for the fish to recover enough to draw anglers back to the lake. hopes to have public hearings on the issue next spring. about the impact of the birds on sport fish and commercial fisheries. new controversial plan for managing cormorants in eastern Lake Ontario.